Surrounded by hundreds of Palm trees and the jungle, this 2 bedroom casita offers a very spectacular view of the beach and the sunset. 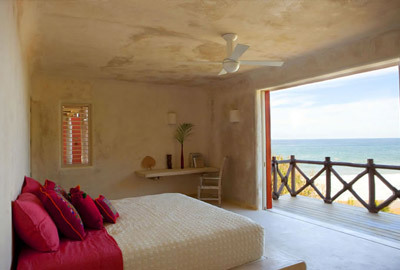 2 bathrooms and a rooftop terrace make it very comfortable as you relax amidst the Palms rustling in the gentle wind. BBQ or have the chef prepare Pizza in the pizza oven at your discretion. You may request the casita with chef and maid service or without. 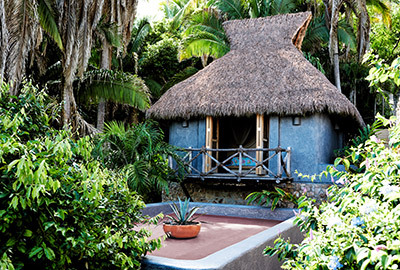 You can rely upon the fully staffed casita to cater to your every personal need.